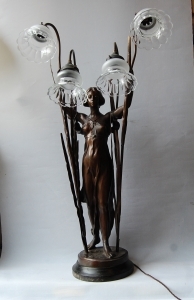 We specialise in antique English period lighting and have a large collection of restored lamps from Victorian and Edwardian to Art Nouveau, Arts & Crafts and Art Deco. 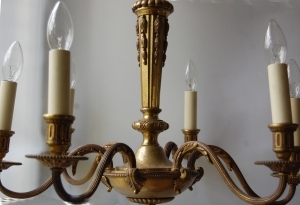 Our stock includes gasoliers and gas brackets converted to electric, plus hanging lamps, crystal chandeliers, lanterns, rise-and fall lamps, pendants, wall brackets, table lamps and floor standards, all finished to a very high standard. 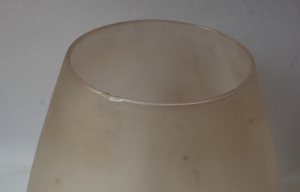 We have lamps which are suitable for all locations; sitting- rooms, bedrooms, bathrooms and halls. 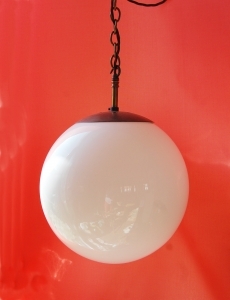 We also have a good selection of outdoor lighting.